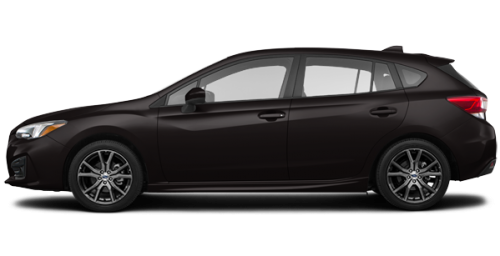 Edmunds also has Subaru Impreza Hatchback pricing, MPG, specs, pictures, safety features, consumer Impreza 5 door Sport: Unbeatable snow monster. 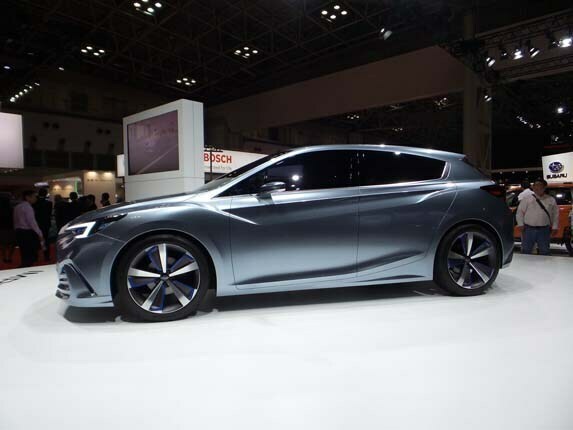 View detailed specs, features and options for the Subaru Impreza i Sport 5-door CVT at U.S. News & World Report. HST and licensing fees not included. Learn about our special offers to know applicable specials. Please verify any information in question with a Ogilvie Subaru sales representative. Information being displayed may not match the exact vehicle being displayed. HST and licencing extra. Select another new vehicle to compare. New Vehicles to compare. New Inventory Vehicles to compare. Select another Pre-owned to compare. 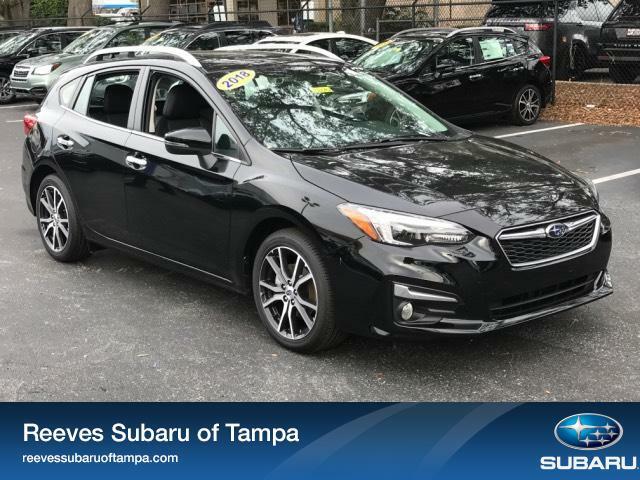 Pre-owned vehicles to compare. Your information will not be shared with any external companies. Hello , welcome to Ogilvie Subaru! Crystal Black Silica 0. Get the Best Price. Book a Test Drive. 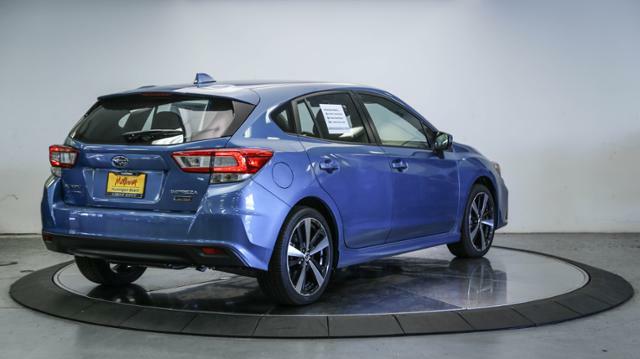 The interior of the Subaru Impreza is sporty, engaging and surprisingly comfortable for a compact vehicle. The front seats are designed for superior support and to provide more room for those in the back. The materials used throughout are rich, soft and pleasing to the touch. 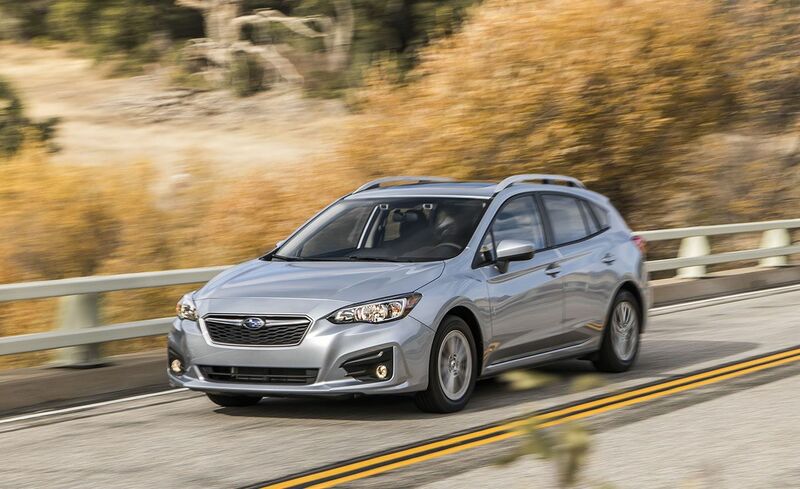 All of these qualities give the Impreza a fun-to-drive quotient that is tough to match. Standard Brake Override System Brakes: Power-assisted, dual-diagonal system Brakes: Advanced ring-shaped reinforcement frame Structure: Dual, side-impact door beams front and rear Structure: Energy-absorbing crumple zones front and rear Suspension rear: Standard open type Brakes rear: Solid discs x 10 mm , single-piston calipers Steering: Speed sensitive, electric, power rack and pinion Suspension front: Re-bound springs Suspension front: Stabilizer bar Suspension rear: Stabilizer bar Ignition system: Distributorless electronic Active grille shutters Brakes front: Ventilated discs x 24 mm , dual piston calipers Engine: Direct injection 5-speed Manual Transmission 5MT with Hill Holder system Flexible flywheel, Fully synchronized, including reverse, Hydraulically operated, dry single-plate disc clutch, Starter interlock system clutch pedal controlled , Subaru symmetrical full-time All-Wheel Drive system: MacPherson strut with K-shaped brace Suspension: Insulator Optional Engine mounts: Electronically controlled multi-plate transfer clutch MPT. Front seat side-impact Seatbelts rear: Engine immobilizer system Steering column: Driver dual-stage deployment Airbags SRS: Driver knee Assist grips: Outboard seating positions Seatbelts front: Height-adjustable shoulder belt anchors Seatbelts rear: Integrated outboard shoulder belt anchors Security: Keyless entry system with panic alarm Airbags SRS: Impact-absorbing Head restraints front: Height and tilt-adjustable Head restraints rear: Front passenger dual-stage deployment with occupant detection system Brake pedal: Rear door locking system Tire spare: Proximity key with push-button start Reverse automatic braking High Beam Assist. Illuminated, steering wheel integrated Cargo cover: Retractable Bottle holders rear: Door integrated 2 Climate control: Air conditioning with air filtration Cruise control: Steering wheel integrated Cup holders front: Console integrated 2 Ignition key ring: Interior dome with off delay Light: Door compartments front and rear Windshield: Laminated UV protection and tinted Windshield: Wiper de-icer Window rear: Defogger with timer Gauges: Full needle sweep on start-up Instrument panel: Adjustable dash illumination Instrument panel: Fuel gauge with low fuel warning light and fuel door location indicator Instrument panel: Low engine oil indicator Odometer: Digital, dual trip modes Speedometer: Electronically controlled analog Gear selector: With console storage Glove box: Lockable and illuminated Light: Welcome lighting Wipers windshield: Variable intermittent with washer Floor mats: Coolant temperature indicator Bottle holders front: Door integrated 2 Power outlet: Automatic Cargo tie-down hooks 2 Light: Tilt-adjustable and telescoping Instrument panel: ECO gauge Door handles: Centre armrest with integrated cup holders Headlights: Auto-off with ignition switch Headlights: Fully automatic Wiper rear window: Fixed intermittent and continuous mode with washer, speed sensitive with rearview assist Storage: Passenger seatback pocket Windows power: Analog with white illuminated needles and 4.